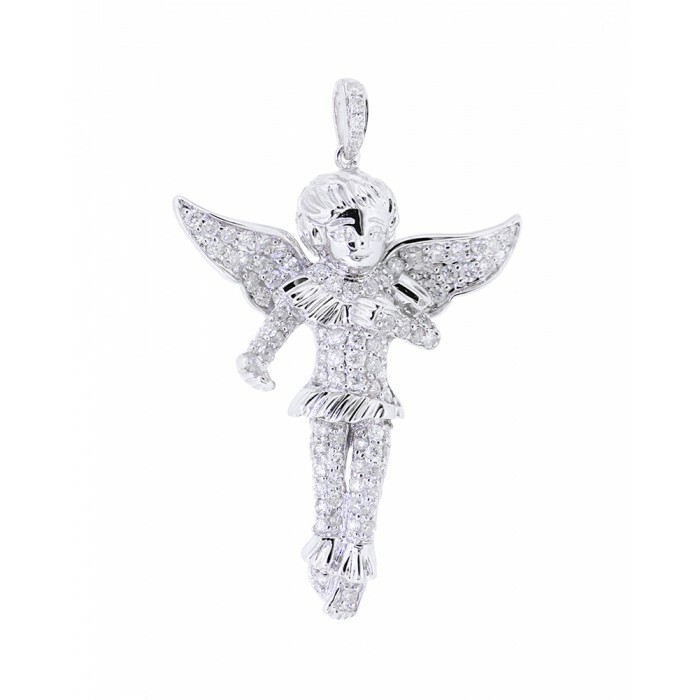 Rafaello & Co where the first innovators of the diamond angel pendant and we are very excited to see it's doing so well. For sure the perfect present for anyone special in your life. 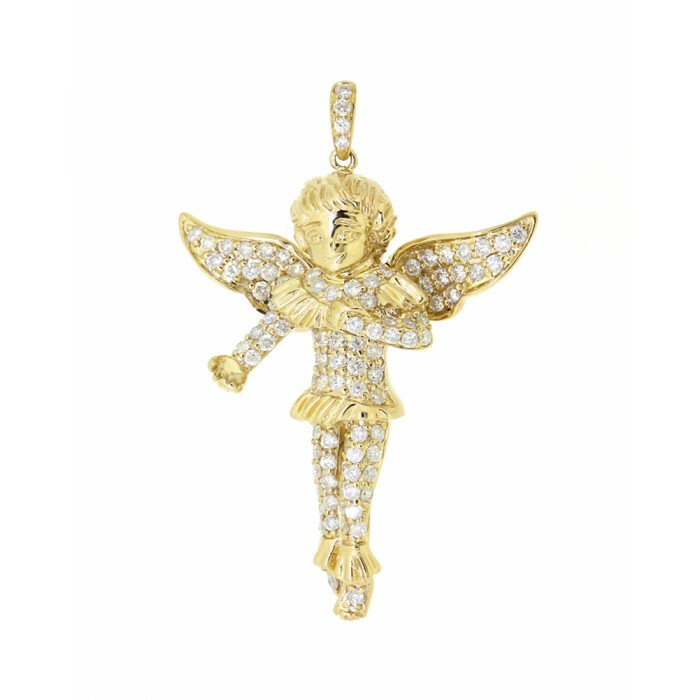 Give the gift of a guardian angel for them to have everywhere they go. Round brilliant cut diamonds are set in 14k Gold with your option of White, Yellow and Rose gold colors. This 3D micro pave set pendant has an approximate length of 45mm ( bit over 1 inch ), weighs in 7.3 grams with 1.4 carats of VS2 clarity diamonds that will shine day or night..
Rafaello & Co where the first innovators of the gold and diamond angel pendant and we are very excited to see it doing so well. For sure the perfect present for anyone special in your life. 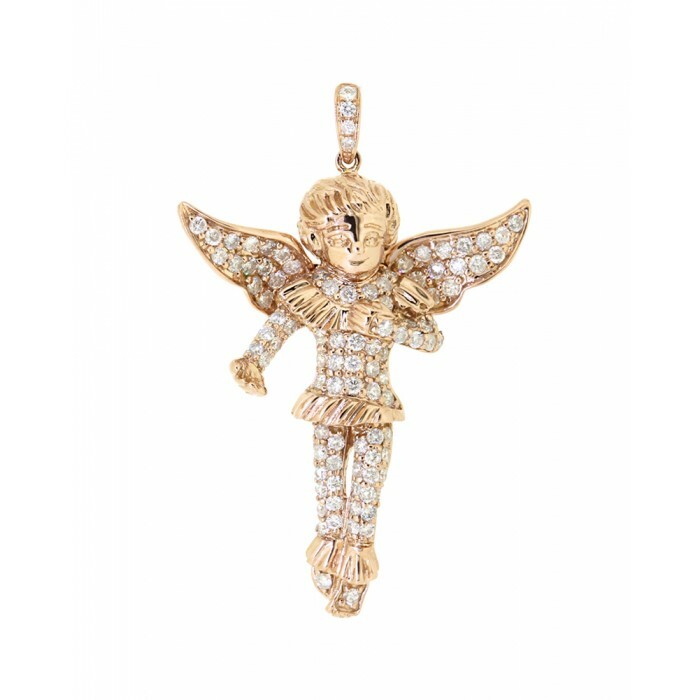 Give the gift of a guardian angel for them to have everywhere they go. Round brilliant cut diamonds are set in 14k Gold with your option of White, Yellow and Rose gold colors. This 3D micro pave set pendant has an approximate length of 45mm ( bit over 1 inch ), weighs in 7.3 grams with 1.4 carats of VS2 clarity diamonds that will shine day or night. Our cliental for this remarkable jewelry piece extends from world famous singers to successful NYC stock brokers. Rafaello & Co take great pride in our craftsmanship so we are positive you will be enjoying your jewelry purchase for generations to come.